Posted on Tuesday, February 5th, 2019 at 10:45 pm. 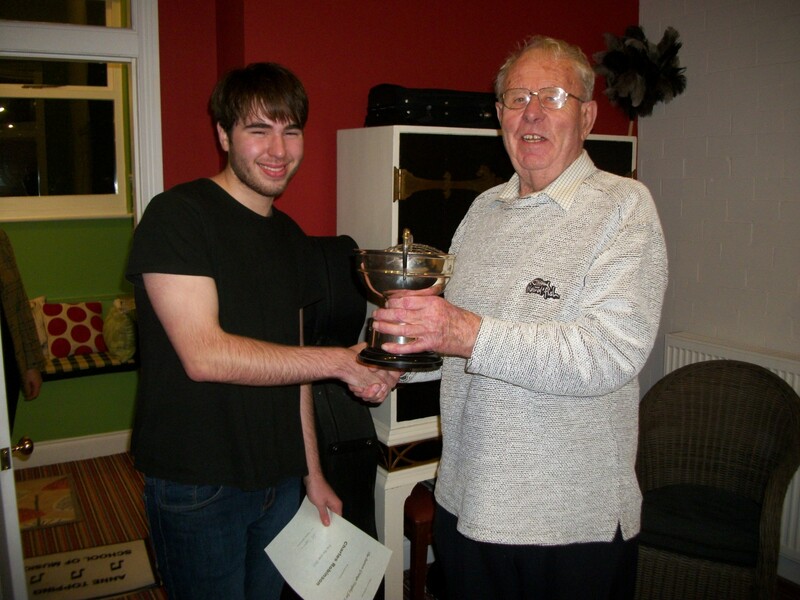 Firstly, congratulations to Matthew Rees who has been awarded the Barton Grange Trophy for Music for the year 2018. Matthew is 14 and passed his Grade 6 Piano exam with Merit last summer. He has made really good progress and is now working towards Grade 7. Well done! Firstly, Emma Coffey who passed her Grade 8 Violin exam (having passed Grade 8 Piano with Merit previously in 2017) and also Abi Brownrigg, who passed Grade 8 Piano with Merit in December. Two exceptionally dedicated and deserving students who deserved their excellent results! Of course, passing exams isn’t ALL that learning an instrument is about – but for many it is a real sense of achievement when that hard won certificate in received. It often means an awful lot and rewards all the hard work and consistent dedication – so I am delighted for students when they gain their qualifications. Posted on Tuesday, January 16th, 2018 at 10:15 pm. 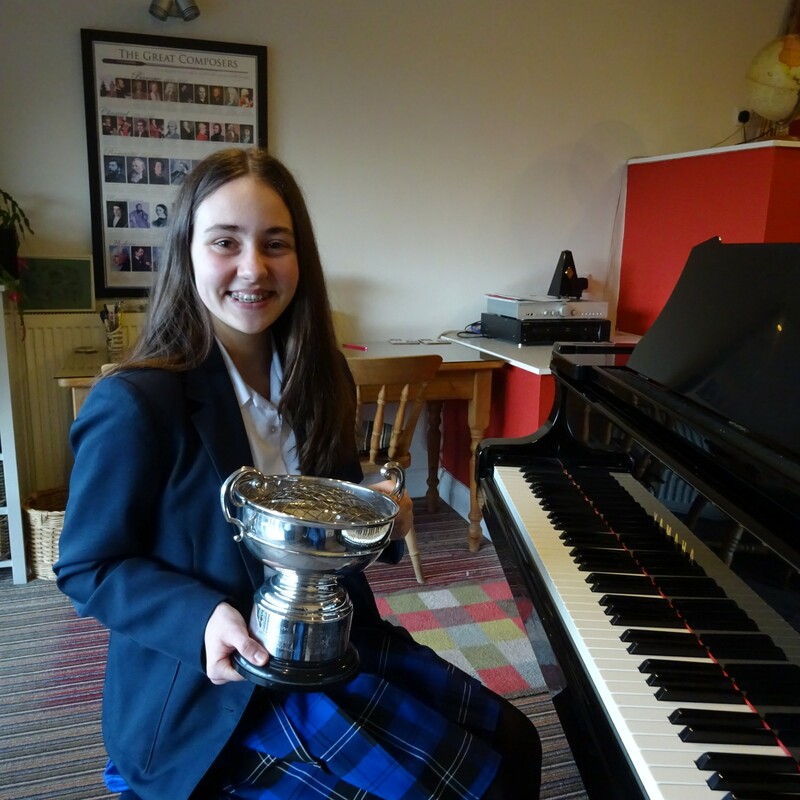 The Barton Grange Trophy for Music has been awarded to Abi Brownrigg for the year 2017. Abi is 16 and attends Garstang Community Academy. She has passed Grade 7 piano with Merit and is now working towards Grade 8. Abi has also passed Grade 7 trumpet so she is an accomplished musician……..and her favourite colour is mustard! Well done Abi – it’s well deserved! Posted on Wednesday, April 19th, 2017 at 7:45 pm. I had some super news today – Kim B. and Emma C. who both took Grade 8 Piano last term got their results and both passed with a Merit. I’ve taught both of them since they were little titches and they are both hard working so the results were well deserved! Congratulations to them both – I’m really delighted for them. One of my adult students, Laurence, was also surprised to hear he had passed his Grade 7 Piano exam with Distinction. He may have been surprised, but I can’t say that I was. So congratulations to Laurence as well! Grade 8 here we come! Posted on Friday, March 31st, 2017 at 8:13 pm. This is a new initiative launched by the Associated Board of the Royal Schools of Music. I applied to join today and have just found out I have been accepted to be part of the panel that will give opinions regarding the ABRSM exams in what they say will be regular surveys. In the mean time if any students or parents of students want to let me know of any opinions about the ABRSM and any issues relating to exams or the syllabus, please do email me as it helps to shape any input I may give. I have a lot of opinions of my own ( as many are aware! ), but any other feedback is helpful and maybe as part of this I can have a voice on behalf of not just me but others too. By completing the surveys I gain “points” towards entries into draws for amazon vouchers, but in the unlikely event I win something (I am usually very unlucky!) I will invest the winning voucher in something towards helping my students in some way, such as further educational resource material. Posted on Friday, March 24th, 2017 at 10:53 pm. Over the past five years or so I have been amazed at the volume of requests for tuition from adults. Don’t get me wrong, I have always taught “grown ups” since I began teaching in my early twenties (and I was the kid!) but there seems to be a recent surge in requests. About a third of my students are now aged over 18 and there appears to be no let-up in the demand for lessons. * I am adding music and playing an instrument to that list…… so sue me! So why do adults want to learn? The motivations are wide and varied. Apologies in advance to some of my adult students who may recognise themselves in my list here (although of course you may be being paranoid…. ). I also feel somewhat uncomfortable squishing people into neat and convenient boxes but we have to start somewhere……. There are the “BEGINNERS” who didn’t have the opportunity as a child, or else who tried to learn as a child and it didn’t quite work out for them for whatever reason. I have taught people who fall into this category who range from their twenties to their seventies and beyond. I have some empathy for this group as I have educational regrets. I intend to brush up on my conversational German one day…. having not had an educational “perfect fit” for my learning style as a child – and not for maths either ( I still don’t get algebra. Why would anyone want to “find x” unless there was a prize involved!?) I would say that methods of learning an instrument are a lot different nowadays and I hope that many of us as music teachers are more aware of the differences in learning styles that may well relate to an adult, or indeed to anyone. There is also a LOT more material for older beginners which is published nowadays which is more inspirational and age suitable. Don’t think you will be learning to play nursery rhymes……although if you want to learn how to play these to your children or grandchildren this can be arranged! Some adult beginners want to take exams and get certificates and some don’t. It’s all good and it all works. Everything can be tailored to individual wishes. Then there are “RETURNERS” and “DEVELOPERS”……… by which I mean those who enjoyed learning to play as a child and maybe got up to an intermediate level or even a more advanced one. Some of these students want to learn how to progress their playing further and again, some want to take exams and some don’t. Some of my returners learned another instrument and can read music but want to try the piano or violin. They often have a huge disparity between their innate levels of musicianship (often very adept) and reading ability and their technical ability to “get around the notes”. This is often fun; to try to bridge the gap between the inner, maybe experienced musician and the realisation of their expression of that. Often “returners” need help in exploring repertoire they may not know is open to them or in fulfilling their dreams of playing in a different style or performing pieces they always wished they could play but had struggled with alone. Sometimes “developers” are technically skilled but want to learn to read music and develop different facets of their playing as well. I currently teach several adults who are accomplished musicians but feel there is a hole in their all-round musicianship which they want to fill. I really enjoy helping these students and often we have very interesting discussions about playing in the lessons. I often learn a lot from them as well! Then…… there are the “EXPLORERS” …….. these are students who want to enjoy making music with another musician. I love these people! I sometimes think they have the very purest of all the motivations (if I were being judgemental !) Often these students want to have a lot of fun with a big metaphorical box of toys and we play duets, discuss music and generally explore (which I am certainly all for!) Perhaps a violinist want to play through repertoire with an accompanist, or play duos, perhaps a pianist wants to walk through some chords to play their favourite songs. There is usually a lot of musical chat and laughter in these sessions and I look forward to them! Of course a lot of my adult students don’t totally fit into any of these neat “categories” and some wander back and forth between them……. but I do feel very lucky indeed to work with them all, no matter what their motivation, and many have become good friends too. So here’s to you all and those still to come! Posted on Wednesday, January 25th, 2017 at 9:14 pm. The Barton Grange Trophy for Music has been awarded to Natalia Emsley for the year 2016. Natalia is 14 and has recently achieved a Distinction for Grade 6 Piano. 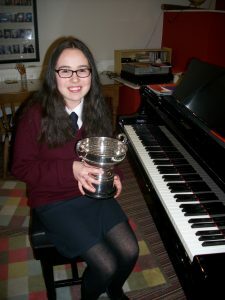 The Trophy is awarded each year to a student who has made really good progress and Natalia has worked very hard and displayed sensitivity and budding artistry in her work. Congratulations! Wonderful results, just in time for Christmas! Posted on Monday, December 12th, 2016 at 8:43 pm. Ben Hurley – Grade 5 Piano, with merit. All very well deserved results for hard working and motivated people. Posted on Wednesday, December 9th, 2015 at 10:50 pm. Well, it is coming to the end of another year, and I just wanted to wish all my students a very Happy Christmas. I always enjoy the last lessons before the end of this term as it is a chance to indulge in some light hearted (but hopefully educational) nonsense with my pupils. Not only do I always do the (challenging!) Christmas prize quiz for all, which I will be posting on here shortly as well, but in the final lessons of term my pupils aged 11 to 18 get to take part in the “Guess the Year” competition, a now legendary event (!). This comprises ten quick bursts of recordings of pieces composed between 1700 and 2000…. people guess (in an educated way hopefully) the year of composition and the person with the lowest margin of error wins! I also torture my personal friends with this one, so there’s a parallel competition in place. Sometimes my students beat them though, which is a “win” for me! Then with the little ones there is the joy of “Musical Dominoes”, and composer snap cards. Plus a special invite to their parents to join us for an impromptu carol concert! Love and peace to all, and all the very best for 2016! Posted on Saturday, November 28th, 2015 at 5:18 pm. 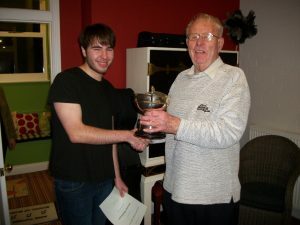 The Barton Grange Trophy for Music has this year been awarded to Charlie Robinson. Charlie is 17, attends Newman College and is working towards Grade 8 Piano, as well as A Level Music. He was presented the trophy by Mr. Edward Topping M.B.E. , chairman of the Barton Grange Group. Well done Charlie for all your hard work and progress! Posted on Wednesday, September 30th, 2015 at 1:20 pm. 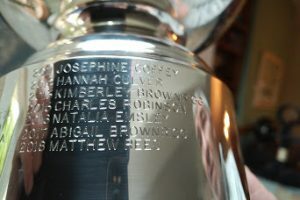 My pupil Kim Brownrigg has been awarded the Florence Purdey Memorial Prize for the year. This is awarded by the Associated Board of the Royal Schools of Music for the highest score in the Preston area in Grades 6,7 and 8 violin. Congratulations Kim!